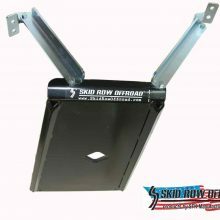 Skid Row skid plates have been some of the go-to sources for Jeep protections for years now. 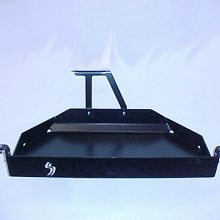 They are known for their simple yet solid construction and the quality paid to details. 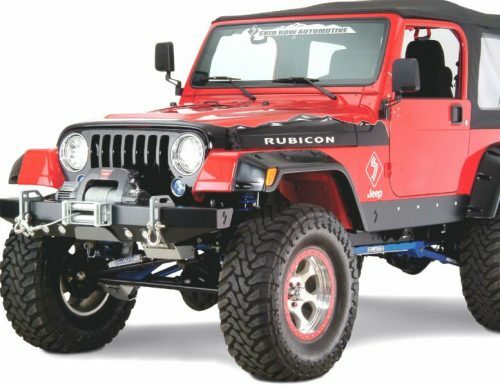 To make things better, Skid Row warranties their skid plates for the life of your vehicle, so even if you bash your plate on the rocks, as long as your Jeep survives, you’ll get your skid replaced (read more here). 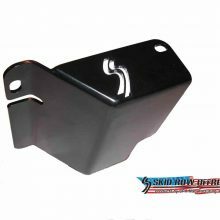 I really like Skid Row’s engine skid plates (those are the only ones I’ve personally worked with). They are a great value for the money – not too expensive, but they hold up well. I’ve personally run the engine skid and have nothing but good things to say about it. 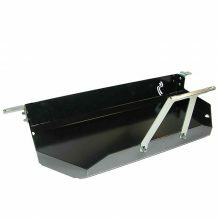 The best part of this product in mind is the ease of install. 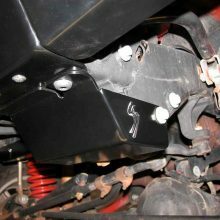 I just followed the instructions and had the Skid Row skid plate installed in a couple of hours, all by myself. 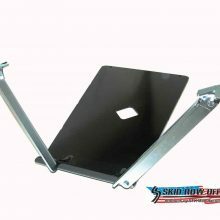 The plate itself it heavy, and it can be hard to lift it into position while putting in the initial bolts, but you don’t really want a light and thin skid plate. 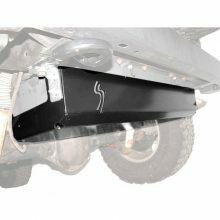 A tip for lifting and holding a skid plate in place – try a ratchet strap. 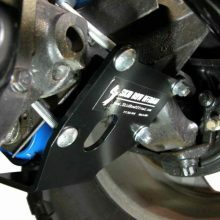 I eventually upgraded to an Undercover Fab low profile engine / transmission skid combo, to gain a couple of inches clearance, but my Skid Row skid plate served me just fine for a couple of years. 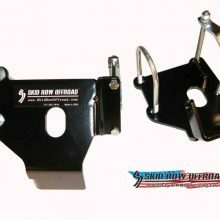 I’ll also mention that it’s great that these Skid Row skid plates come painted. 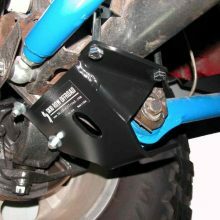 I’ve bought my share of unfinished skid plates, and while it’s not hard to paint a skid plate, it’s still a hassle. If you can get a painted one for the same price, that’s a win in my book. Includes necessary nuts, bolts and washers.